THERE IS ONLY ONE DAVID BOWIE CELEBRATION CONCERT YOU REALLY NEED TO SEE. To honour David Bowie’s 70th birthday, Bowie band members, friends and an ensemble of top recording and touring musicians from around the world are getting together for a one-time only series of global concerts, called Celebrating David Bowie. The concerts all take place in cities that have a strong connection with David Bowie and his work and will feature a core two dozen musicians, joined by our own Bernard Fanning, Sarah Blasko and Paul Dempsey, recreating a sound like no other. The Sydney concert takes place at the Sydney Opera House on 29 January 2017. 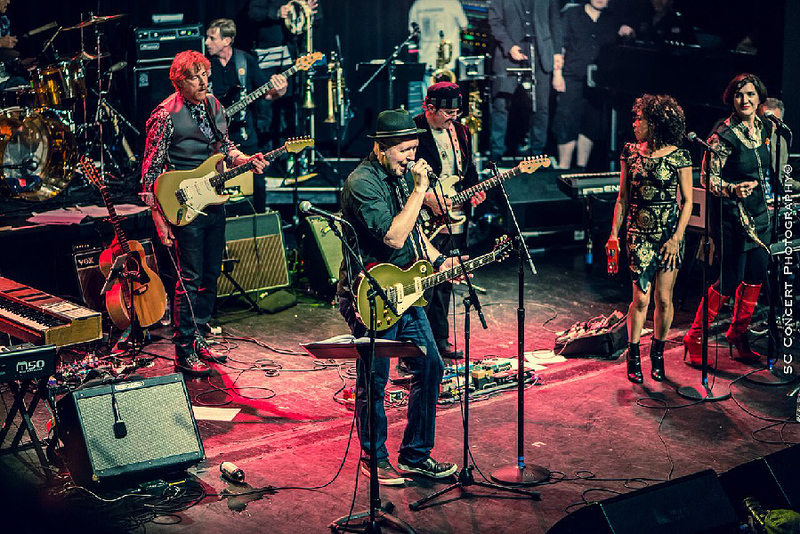 The concept for the shows grew out of two large, informal ensemble shows featuring 70+ musicians in Los Angeles and San Francisco in the spring of 2016 which included Gary Oldman, Seal, Ewan McGregor, Jerry Harrison (Talking Heads) and Bowie band alumni from Space Oddity to the latest Blackstar album with both shows generating a great deal of press and fan praise from around the world. Bowie’s close friend Gary Oldman, who delivered an emotional speech about David at The BRIT Awards, and is opening the tour in London with former Bowie band members Mike Garson, Earl Slick, Adrian Belew, Mark Plati, Gerry Leonard, Gail Ann Dorsey, Sterling Campbell, Zachary Alford, Holly Palmer and Catherine Russell, along with many other special guests to be announced. Their return to London together at the 02 Academy Brixton show this coming 8 January, David Bowie’s birthday, sold out in just two hours. Leading the group in Sydney will be former star Bowie band members Mike Garson, Adrian Belew, Earl Slick, members of David’s last two touring bands, Angelo Moore from Fishbone, Latin Grammy Award Winner Gaby Moreno, Bernard Fowler from The Rolling Stones, Joe Sumner, and a vast extended musical family who play with or have played with Tom Waits, Sting, Seal, Herbie Hancock, De La Soul, Brian Eno, Iggy Pop, Smashing Pumpkins, B52s, Dr. Dre, Burt Bacharach, David Byrne, Todd Rundgren, Prince, Neil Young, and Lenny Kravitz make up the core ensemble. Individually, these former Bowie band members performed, wrote and recorded together with David through several decades including the 1973’s Ziggy Stardust tour, the Diamond Dogs tour, Isolar II (Heroes) tour, to the hugely successful Serious Moonlight tour, the Sound And Vision greatest hits tour to Glastonbury 2000, Heathen, his final A Reality Tour and many of them appeared on Bowie’s triumphant comeback album, The Next Day. After their BRIT Awards performance, Bowie’s last touring band refrained from further opportunities to honour him as it was still too emotional. But as word reached them about the sincerity of this particular group they slowly decided to come onboard to say goodbye to David properly in a grand show keeping in line with his tremendous legacy. Far from being a tribute show and never referred to as one, this ensemble is David Bowie people playing David Bowie music, David Bowie style. This is the first and last time this inner circle will do anything like this and these global shows are likely to be the last time that they perform his music together. Sadly, this may be the closest anyone will come to a David Bowie live experience ever again. 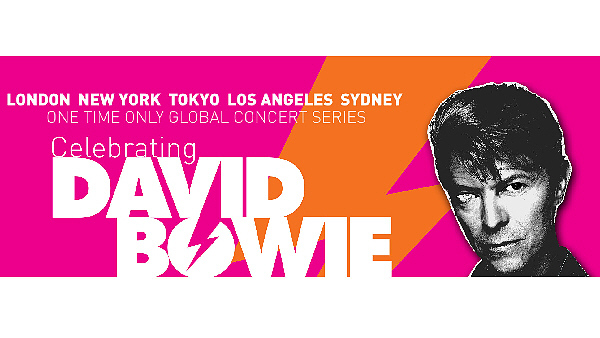 Celebrating David Bowie will be joined by Australian guests to be announced shortly.